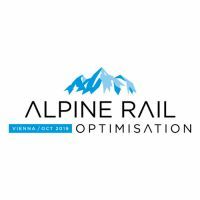 Following the overwhelming success and appetite of the 2018 event, ROTAIA MEDIA’s Alpine Rail Optimisation conference will return to Vienna on the 31st October 2019. Firmly established now as the key event in people’s diaries to access the latest updates and investments for the region, the conference has become the number one platform to bring together the region’s Infrastructure Managers and Rail Operators to discuss how they are harnessing the latest digital trends that are revolutionising the rail sector for better quality, improved reliability and greater customer service. From developing and upgrading existing infrastructure, helping to advance customer experience, improving maintenance through effective using the Internet of Things, investing in state-of-the-art rolling stock, and capitalising on the latest technologies to make Rail the first-choice mode of transport, this unique conference is the perfect stage to bring together those with the questions, and those with the answers. It’s an opportunity to share experiences – and for vital collaboration.